The Airport Express line was commissioned on February 23, 2011 after an investment of Rs 2,885 crore funded by DAMEPL's promoters' fund, banks and financial institutions. The Airport Express line was commissioned after an investment of Rs 2,885 crore. 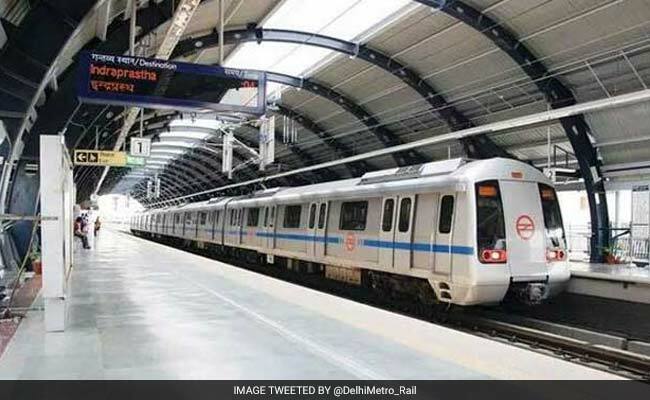 New Delhi: The Delhi Metro Rail Corporation (DMRC) today moved the Supreme Court against the Delhi High Court's order directing it to pay Rs 60 crore as three months interest to a lender of its former concessionaire for airport express line. The DMRC's counsel mentioned the matter before a vacation bench comprising Justices P C Pant and Deepak Gupta which said it would hear the issue on June 19. The corporation has challenged the June 7 order of high court's division bench which had dismissed its appeal against a single judge order asking it to pay the amount. The single judge's interim order of May 30 had come on a plea by the concessionaire Delhi Airport Metro Express Private Limited (DAMEPL) seeking early payment of Rs 3,502 crore, which is 75 per cent of the arbitral award of Rs 4,670 crore granted in its favour on May 11. The single judge had passed the order "in view of the financial conditions and interest burden being borne" by DAMEPL which had claimed it was paying Rs 65 lakh per day, coming to Rs 20 crore per month, as interest to its lender. In its appeal before the high court's division bench, the DMRC had challenged the interim order, saying it would amount to partial implementation of the award and would also be akin to dismissal of its objections against enforcement of award. The division bench had said that it was not inclined to interfere with the May 30 order as it was an interim decision and the issues raised by the DMRC have been kept open by the single judge. The court had also noted that single judge had protected the DMRC's interests by directing DAMEPL, a subsidiary of the Reliance Infrastructure (Rinfra), to furnish a bank guarantee of Rs 65 crore. DAMEPL is a joint venture of Rinfra and a Spanish construction company -- Construcciones Y Auxiliar De Ferrocarriles -- with a shareholding of 95 and five per cent respectively. The single judge had directed the DMRC to deposit the amount of Rs 60 crore within 10 days directly into DAMEPL's loan account with Axis Bank - the main lender. DAMEPL, in its plea for early enforcement of the award, has claimed that under the guidelines issued by Niti Aayog on September 5, 2016, public sector undertakings (PSUs) are to pay 75 per cent of the award amount even if they propose to challenge the arbitral award. The DMRC had argued before the single judge that the Niti Aayog guidelines would not apply in the matter as the award was of May 11 and it had 90 days to challenge the arbitral tribunal's decision. DAMEPL has said in its plea before the single judge that it had terminated the concession agreement as the DMRC had not cured some defects in the line within 90 days of the notice issued by it. According to its plea, the agreement was terminated with effect from January 1, 2013 and the project was handed over to the DMRC on June 30, 2013. Till handing over of the project, DAMEPL had operated the line as a deemed agent of DMRC.